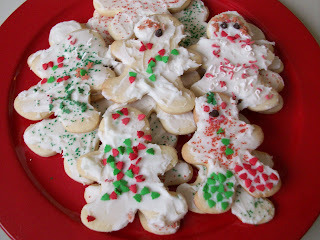 One of my favorite memories of Christmas was icing cut out sugar cookies. My mom generally made the cookies--lots of Christmas shapes. She made the kind of icing that was just powdered sugar, milk, and a little vanilla. It was really smooth and the colors were vivid. When set, it was so smooth and shiny. I loved those cookies. Now, the holidays--any holiday--aren't complete unless we make cut out sugar cookies. 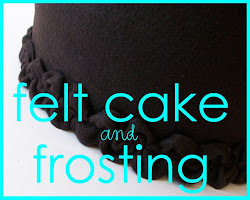 I generally make mine with buttercream frosting which is thicker than the icing my mom used. I like the taste better, but the cookies just aren't as pretty. 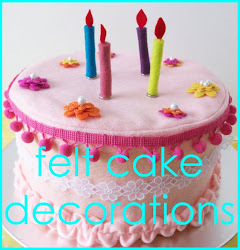 My children like to use plenty of sprinkles to add the pizazz. I think the sprinkles taste like dirt so I try to limit just how fancy their cookies get. Today, we frosted sugar cookie gingerbread boys and girls. I divided the cookies among the girls and a friend who was playing here today as well. The girls all made cookies for the friend to take home and then started in on their "special" cookies. These are the ones that are loaded with sprinkles and you couldn't pay me to eat. They had a ball, though, and in the end, I don't really care how they taste. It's all about the memory.